Welcome at Gilan Dive Equipment. 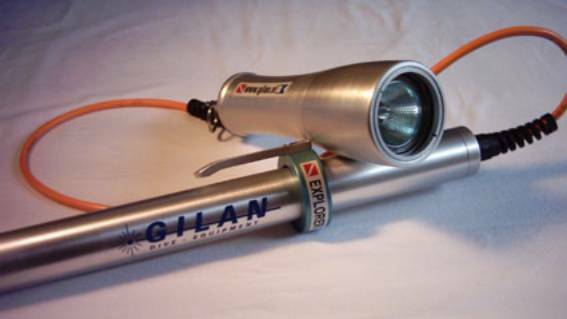 The Dutch manufacturer of quality diving torches. Since Diver-magazine published a test of our Top model, the Traveller Plus, we sell considerable in the UK. Main reason probably our prices. In all aluminium, we are among the cheapest available. However, the diver-test proves that cheaper not always means less quality! Take a further look, you will not regret it! Now available: Our new 24W HID umbilical. Order now, until the end of June we charge no transportcosts!